Join us for the Animal Flow® Level 1 Workshop in Sydney, Australia in May 11-12. The two-day event is six hours each day, Saturday and Sunday from 11:30am to 5:30pm, at the Fitness Playground, home of Animal Flow in Sydney. 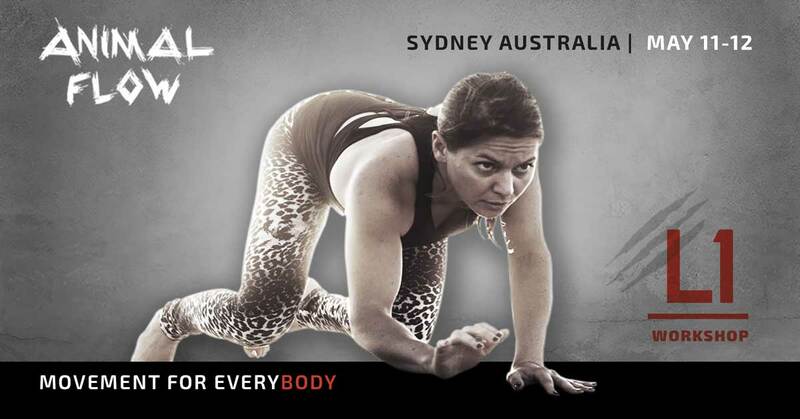 The event will be hosted at The Fitness Playground, home of Animal Flow in Sydney. 12 available	 AF L1 Regular Sydney May $475.00 Regular ticket $475 USD. Early bird price of $425 USD until Jan 1. 12 available	 AF L1 Payment Plan Sydney May $237.50 Payment plan option: 50% deposit. Balance due 2 weeks prior to event. No refunds on deposits. Early bird rate of $425 USD valid until Jan 1.